The story continues this holiday season. 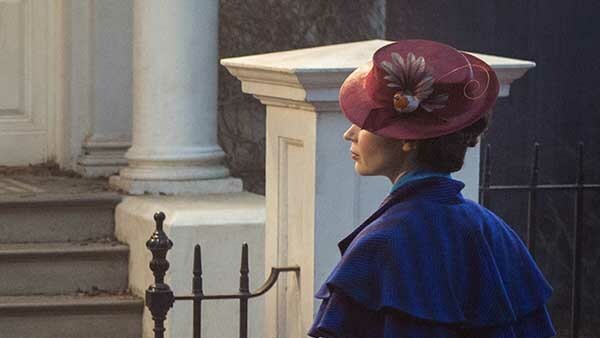 In Disney's "Mary Poppins Returns," an all new original musical and sequel, Mary Poppins is back to help the next generation of the Banks family find the joy and wonder missing in their lives following a personal loss. Emily Blunt stars as the practically-perfect nanny with unique magical skills who can turn any ordinary task into an unforgettable, fantastic adventure and Lin-Manuel Miranda plays her friend Jack, an optimistic street lamplighter who helps bring light-and life-to the streets of London. Disney debuted the official trailer on Monday. The movie premieres in theaters on December 19. "Mary Poppins Returns" is directed by Rob Marshall. The screenplay is by David Magee and the screen story is by Magee & Rob Marshall & John DeLuca based upon the Mary Poppins Stories by PL Travers. The film also stars Ben Whishaw as Michael Banks; Emily Mortimer as Jane Banks; Julie Walters as the Banks' housekeeper Ellen; Pixie Davies, Nathanael Saleh and introducing Joel Dawson as the Banks' children, with Colin Firth as Fidelity Fiduciary Bank's William Weatherall Wilkins; and Meryl Streep as Mary's eccentric cousin, Topsy. The Walt Disney Company of Walt Disney Pictures and this station.